November is flying by and we’re halfway to Thanksgiving! The U.S. Thanksgiving holiday is a day of reflection and recognizing what you are thankful for and today’s featured day is a step along that same path by recognizing and respecting what it means to be tolerant of others. Today is the International Day for Tolerance. The International Day for Tolerance was established by the United Nations back in the 90’s and it focuses on education and respecting others’ beliefs and rights. In the animal rescue world, these words should ring loud and true to all of you reading this. 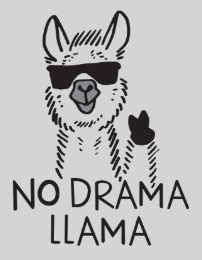 Not a day goes by where there isn’t drama created when one organization or animal rescue group is judging another for a program, policy or person that they do not agree with. Whether you are debating the term “no-kill” or the merits of open adoption, scrutinizing a foster home program or the merits of home visits before adoption, there is plenty of disparity in animal rescue processes and organizations to discuss. It is easy to render opinions on what others’ do particularly when we have the benefit of experience or the backing of historical trends to support our perspective. But for just one day, we ask you to try a different approach. Today, we invite you to pause and reflect on the intent of those people and organizations that you have an opinion regarding. Is their intent still to help animals? Is their mission to save animals? 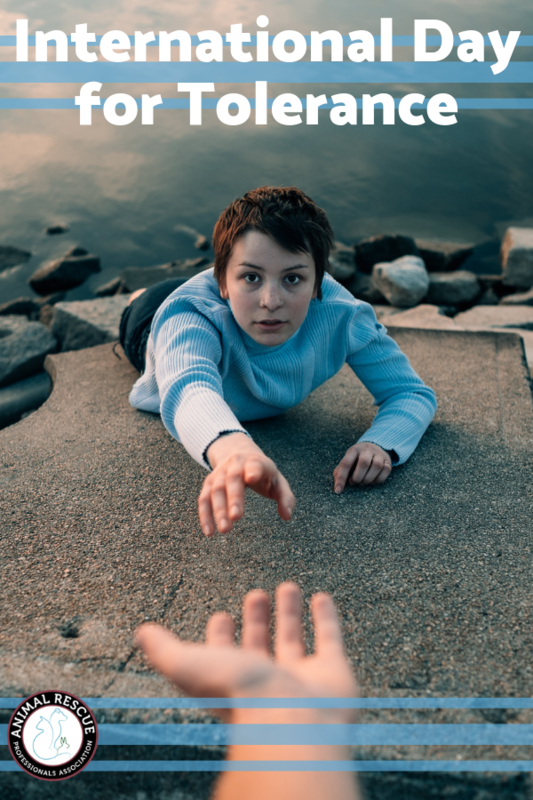 We can debate the merits of individual actions or programs, but wouldn’t you agree that it is important to try new things which may or may not work? Today we ask you to try recognizing that we don’t all think the same way (that’s a good thing) and try to recognize others’ beliefs and intent and see if there is an opportunity to learn. 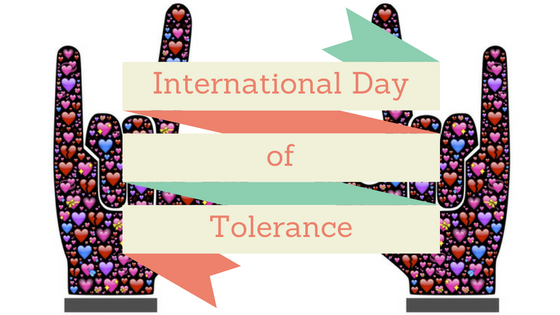 International Day for Tolerance is also about reflecting on the impacts that being intolerant can have on our society and on the animal rescue movement in general. For example, think about the discrimination and intolerance around breeds like pit bulls through breed specific legislation or targeted rules to restrict them. What impact does this intolerance have on society and on animal welfare in general? This unfair discrimination towards a category of dogs in this case causes a problem for the whole of animal welfare and challenges us all to do more to educate society and our constituents about the individuality of animals and other sentient beings and how, similar to racism with people, stereotyping or categorizing an entire group of animals in a certain way is not a realistic approach. Today, we should also reflect on whether we are being intolerant as a movement and community towards one another. How are we embodying the principles and mission that we spent so much time building for helping all and treating everyone with respect? Our hope is that you will use this day to focus on education and solidarity as a community of animal rescuers. sol·i·dar·i·ty- noun – unity or agreement of feeling or action, especially among individuals with a common interest; mutual support within a group. Focus your actions, postings and activities today on what it means to practice solidarity and work together towards our common goals of respect for animals. Support the healthy debate about programs, policies and approaches for achieving our goals. Respect the opinions of others and challenge them to respect yours. Together we can save more animals than as a divided community.